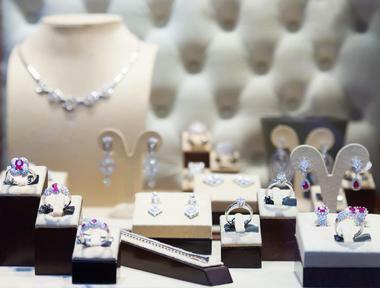 Washington, DC is a true shopper’s paradise. The city boasts a wide variety of shopping malls, as well as some very popular stand-alone boutiques. The larger shopping malls offer outstanding shopping experiences under one roof and have several restaurants, bars and cinemas. 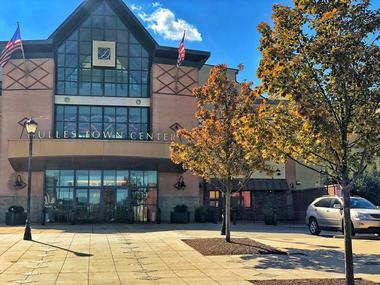 Located on Massachusetts Avenue in Washington’s affluent and leafy Spring Valley neighborhood, the Spring Valley Shopping Center offers convenient shopping and easy on-site parking. The main draw-card is without doubt Wagshal’s Delicatessen, which is rumored to be the best old-fashioned Deli you will find outside of New York. You need to be prepared to queue for their famous sandwiches and other staples if you arrive around lunch/brunch time. The Wagshal’s Market is the place to go for excellent quality meat and groceries. In addition to Wagshal’s you will find a Wells Fargo Bank, CVS Pharmacy and Carriage Lamp Cleaners (laundry and dry cleaners). The Washington Square Shops offer a variety of services you may need during your visit to Washington DC together with a few fashion and other retail outlets. You will find a shoe repair outlet (Cobbler’s Bench Shoe Repair), an AT&T and Verizon Wireless, J.R. Cigar and an optician (My Eye Dr). You can do some lingerie shopping at Victoria’s Secret, have the perfect shave or men’s skin-care ritual at The Art of Shaving and then find your latest must-have accessories at Lou Lou Boutique. Spend some time lingering over a great meal at Leon or Morton’s The Steakhouse or enjoy a quick cup of coffee at Starbucks before shopping for fashion at Sarar or Men’s Warehouse. Whether you are visiting Washington for a day or two or plan to spend a longer time in DC, you should take the time to visit CityCenterDC, where a brilliant DC experience awaits you. CityCenterDC is more than a simple shopping destination – the complex offers over 30 retail outlets and restaurants, residential units, offices and brilliant out-door public spaces where you can relax and unwind. 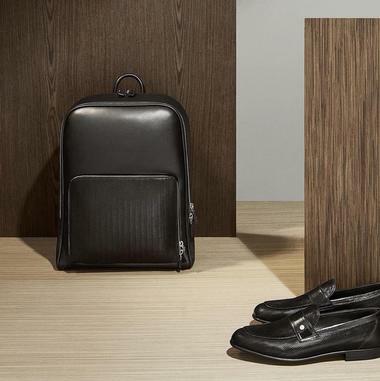 You will find distinctive designer fashion at stores like Canali, Gucci, Hermes and Salvatore Ferragamo, while Tumi offers the perfect solution for packing your new acquisitions. There are several eateries vying for your custom including the award-winning Momofuko and Centrolina. The complex also boasts residential apartments and will welcome a fabulous Conrad hotel in 2019. 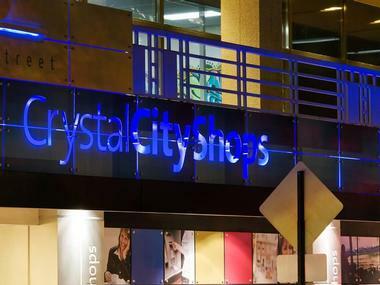 Located across the Potomac River in Arlington, Crystal City Shops offers an inviting one-stop destination for shopping, dining and socializing. You can access Crystal City by car or cab (5 minutes from downtown DC), Metro or the VHE and there is plenty of on-site parking. If you would like to linger in the area you will find no less than 12 hotels within easy walking distance. 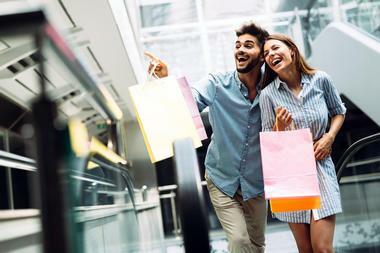 Visitors can shop till they drop at a large variety of retail outlets and boutiques including men and women’s fashion and shoe stores, several health and beauty outlets and gift shops. There is no shortage of places to eat and drink including nine restaurant/bars and almost thirty food specialty stores. Located right at the heart of Columbia Heights, DC USA is the largest retail complex in Washington DC. You can enjoy direct easy access via the Columbia Heights Metro station and spend a few hours exploring the pedestrian-friendly two-level complex. A few of the many popular retail outlets you will find in the complex include Target, Bed Bath and Beyond, Modell’s Sporting Goods and Perfumania. When all the shopping has made you hungry you can satisfy your hunger pangs at IHOP, Chick-fil-a, Letena Ethiopian Restaurant or Panda Express. To work off some of the extra calories you can pop into the Washington Sports Club for a quick work-out. 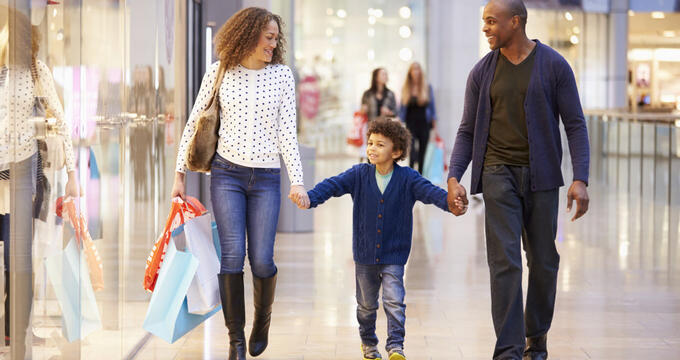 Located 10 minutes north of the Washington Dulles International Airport, the Dulles Town Center is a good shopping option for visitors who would like to find a great variety of shops and restaurants under one roof. 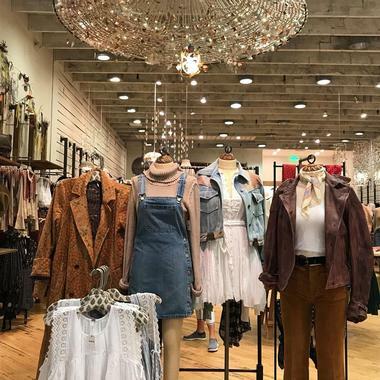 You can look forward to finding many of your favorite fashion retailers in the center including Abercrombie and Fitch, Banana Republic, Gap, H&M, Macy’s and J C Penney. Other services include hair salons, nail bars and a spa. When you need a break from shopping you can enjoy a cup of coffee at one of several coffee shops or take in a move at one of ten cinemas. There are also many restaurants catering to all tastes and occasions. Located in the heart of Washington DC’s vibrant Chinatown, (adjacent to Capital One Arena), Gallery Place offers everything you need from a central shopping precinct. You can browse all manner of home electronics at the exciting Studio Xfinity store, shop for home basics at Bed, Bath and Beyond and Urban Outfitters and kit yourself out in the latest fashion at Loft. When it comes to entertainment you can catch a movie at Regal 14 (14 screens to choose from) or go bowling at Lucky Strike. In addition to shopping and entertainment you will also find a variety of restaurant/bars and food outlets to choose from. You will find Georgetown Park centrally located between the historic C & O Canal and Georgetown’s two main streets, Wisconsin Avenue and M Street. The shopping complex is easily accessible from downtown Washington by Metro and has an enormous parking garage if you are coming by car. You can expect to find interesting retail outlets including Anthropology, Dean and Deluca, H&M, J Crew and TJ Maxx alongside service providers such as Avis/Budget Car Hire, DMV Georgetown Service Center and the Washington Sports Club. You can go bowling (and have a meal) at Pinstripes or opt for Italian fare at Filomena Restaurante and Thai Food at Bangkok Joe’s. The Georgetown Shopping District sprawls along several blocks on Wisconsin Avenue and M Street in Georgetown. 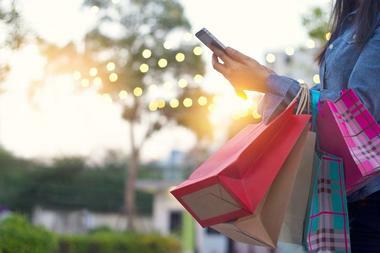 Here shopping enthusiasts can easily spend several hours browsing a wide variety of retail outlets offering just about any kind of shopping you can imagine. 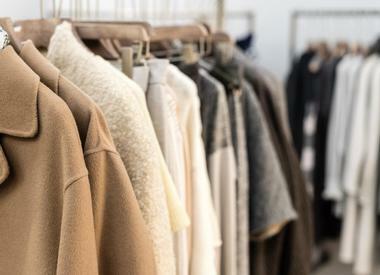 Fashion retailers include favorites like Abercrombie and Fitch, AllSaints, Banana Republic, Barbour and many more. Art enthusiasts can browse several art shops and galleries while beauty requirements are provided at several hair, nail and brow studios, gyms, yoga studios, spas and exercise studios. You will never need to worry at food and drink – there are dozens of restaurants and fast food outlets vying for your custom. When only the finest lingerie will do you need to make your way to Le Bustiere Boutique in Columbia Rd. This up-market boutique store stocks some of the most beautiful and sensual lingerie in town, as well as a wide selection of bridal lingerie and fabulous swimwear to flatter even the fullest figure. It is common knowledge that many women wear the wrong size bras – you can schedule a private fitting at Le Bustiere to ensure you never look less than your best again. In addition to lovely lingerie the boutique also stocks a range of naughty undies and accessories. The boutique offers delightful girly soirees for bachelor-girl parties and ladies’ nights out which include eats and drinks. 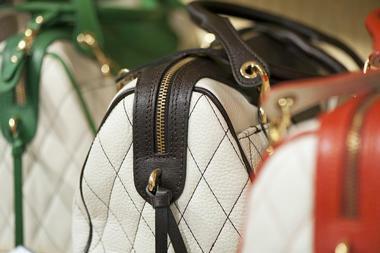 Bargain hunters will be delighted to know that they can save up to 65% on some of their favorite brands at the Leesburg Corner Premium Outlets near Dulles International Airport. 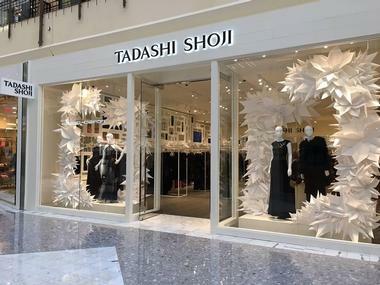 This shoppers’ Mecca is home to over 100 designer and brand-name stores and offers a wide variety of shopping experiences. Fashionistas can anticipate finding all the latest fashion trends at heavily discounted prices. A sampling of the retailers at Leesburg Corner includes J Crew, Kate Spade, Nautica, Tommy Hilfiger, Calvin Klein and many more. In addition you can find household necessities at Le Creuset and Corningware among others. There are plenty of attractive options for coffee, meals or snacks when you need a break from shopping. 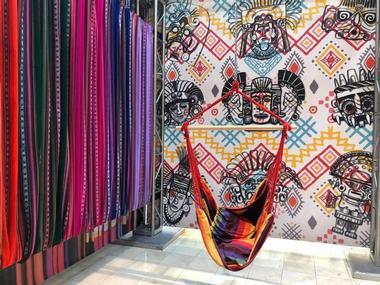 If you enjoy shopping for something a little different in the way of fashion you could become a firm follower of Lettie Gooch, an independent fashion outlet located in 8th Street. 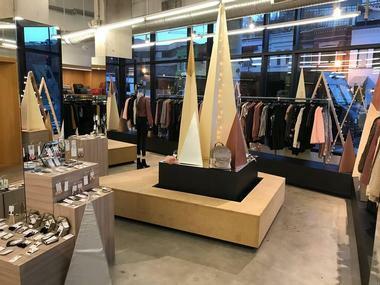 The store stocks an interesting range of ladies garments designed by emerging fashion designers, as well as one-off pieces that will set you apart from the crowd. 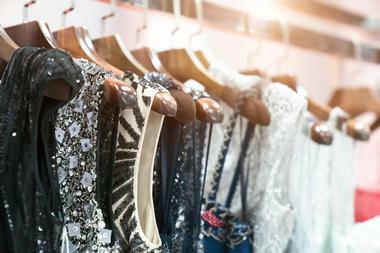 You will find a full range of garments including dresses, tops, accessories and more. Lettie Gooch is open daily from 12 Noon to 7pm (slightly different hours on weekends). 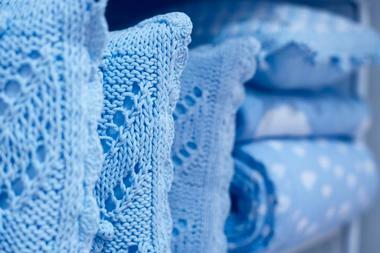 You can get an idea of their range by visiting their on-line shopping website. Located on Wisconsin Avenue in the Friendship Heights neighborhood, Mazza Gallerie is a mixed-use shopping center where you can visit retail outlets, watch a moving or enjoy a drink and meal. The center is spread over three levels and there is one full level of movie theaters where you can watch the latest releases. You will find many of your favorite retailers at Mazza Gallerie including Nieman Marcus, Saks Fifth Avenue, Emissary and Heritage. When you need a break from browsing you can enjoy a meal or snack at the West Wing Café, Subway, McDonalds or Kron Chocolatier. The center is easily accessible from the Friendship Heights Metro on the Red Line. 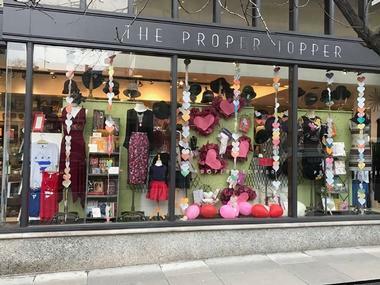 If you love somewhat off-beat shops that specialize in selling you everything you never knew you needed, Proper Topper is the place to head for. The store sells a large range of men’s and ladies hats and caps, as well as a really eclectic selection of gifts and clothing for everyone in the family. Gifts for men include unique cuff-links, nifty multi-tools and travel games while for ladies you will find scented candles, luxurious toiletries and wonderful clothes. They also stock an irresistible selection of soft and cuddly babies’ toys and clothes as well as fashionable clothing for children and teens. 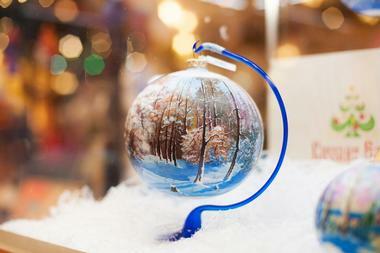 In addition you will find a range of beautiful home essentials. Relish has been pleasing local DC residents with an outstanding range of artisanal clothing for over 20 years. The store specializes in stocking beautifully designed seasonal ranges of designer clothing made from the best quality fabric, tailored to perfection. Alongside beautiful suits, jackets, coats and dresses you will find the perfect matching pair of shoes, boots or sandals made from the best leathers and fabrics available. It goes without saying that you will also be able to find the perfect handbag to complete your ensemble. 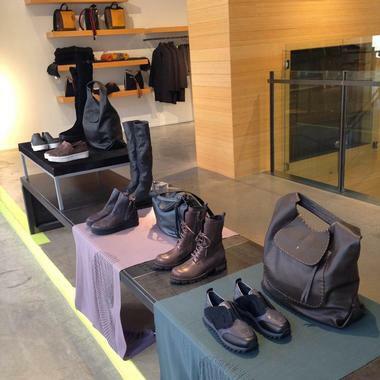 A few of their featured designers include Marc Jacobs, Calvin Klein, Jil Sander, Joseph and Thom Browne. No shopping expedition in Washington would be complete without a visit to the Gallery Shops at the revered National Gallery of Art on the National Mall. The shops showcase the extraordinary art collections of the National Gallery by selling exhibition guides and catalogues as well as a large and varied range of related gifts and souvenirs. The Gallery Shops include four separate outlets – you can buy reproduction postcards, prints and assorted gifts at the West Shop, before moving on to admire an excellent selection of arty books at the Concourse Bookstore. At The Children’s Shop you will find wonderful educational toys and games for children, while the newly-redesigned East Shop stocks yet more Gallery prints, reproductions and gifts. Widely considered to be one of the best shopping centers in the country, Tyson’s Corner Center has over 300 shops, dozens of eateries, a movie complex, a children’s play area and a very popular outdoor plaza which regularly hosts festivals and events. You can easily access the center via the Metro – the plaza directly links to the Silver Line Metro Station. 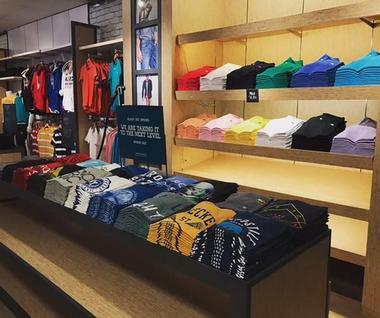 At Tyson’s Corner you will find all you favorite retailers under one roof – think household names like Abercrombie and Fitch, American Eagle, the Apple Store, and Banana Republic among many others. Fashion and household retailers are joined by hair, nail and brow salons and many delectable restaurants and coffee shops. Tyson’s Galleria caters to an upscale clientele who prefer to shop exclusive designer brands in an elegant location close to the Capital Beltway and Tyson’s Corner. 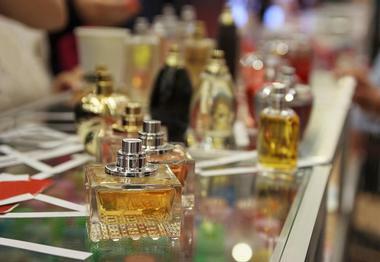 Here you will find an exclusive collection of 98 retailers including three department stores (Macy’s, Nieman Marcus and Saks Fifth Avenue), more than 40 Men’s and Women’s designer clothing stores and at least six stores where you can buy beautiful household goods. When you need a break from browsing you can visit a variety of coffee shops, bakeries, restaurants and the ever-popular Cheesecake Factory. You will also find a bank, luggage shop, optometrist and several salons and beauticians. 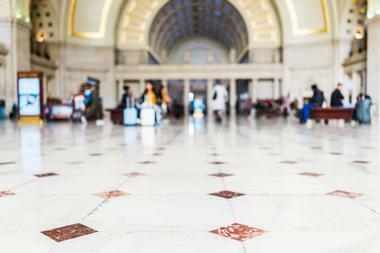 Visiting Washington DC’s beautiful Union Station is an experience you should not miss while you are in the city. Union Station is much more than a travel hub and when you are not admiring the outstanding architecture of the building you can enjoy some retail therapy at a wide variety of shops and eateries. Prepare for your trip by picking up some lovely lingerie at Victoria’s Secret, a pretty crystal trinket at Swarovski and some delightful beauty products at L’Occitane, Khiels or The Body Shop. If you still have some time you can tantalize your taste-buds at one of the many restaurants and fast-food outlets before visiting Tumi to buy a stylish extra bag for all your purchases. Upstairs on 7th was originally located upstairs in the Touchstone Art Gallery on 7th Street. When the store re-located to the lobby of the Warner Building, owner Ricki Peltzman decided to retain the original name of her popular women’s apparel and accessory store. The store specializes in stocking interesting and classic designer fashions that will see you through your day from office conference to dinner date. Needless to say, you will also find the perfect accessories to compliment your outfit, including beautiful scarves, fun and quirky socks and stockings and lovely shoes, handbags and jewelry. You can visit their website to find out about their regular events including the arrival of new collections. Violet Boutique invites you to come in and explore a world of genius fashion, perfectly put together to bring out the best in every customer. 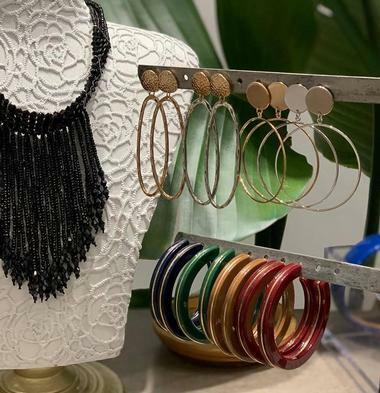 Whether you are looking for something special for an upcoming event or are in the market for a whole new look, Violet Boutique is the place to go. If you are not quite sure how to dress for success the boutique invites you to book a complimentary personal styling appointment with one of their professional stylists who will put together a personal profile for you so that you can confidently shop for clothing that is best suited to your personality and lifestyle. Located in Bethesda, Maryland, just over 13 miles from downtown Washington DC, Westfield Montgomery is a large shopping mall which offers an excellent variety of retail outlets under one roof. There is ample parking available (including a valet parking service). 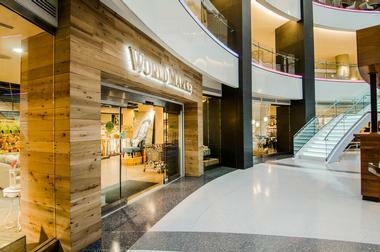 You can literally shop until you drop at 195 stores, including anchor-tenants such as Macy’s, Nordstrom and Sears. You will find most of your favorite fashion retailers at Westfield including American Eagle, Abercrombie and Fitch, Gap and J-Crew. You can shop for foot-ware at Clarks and Aldo, have an eye test at Apex Optical or browse the latest iPhones at the Apple Store. There are numerous eateries and coffee shops where you can take a welcome break. Located in the heart of Washington’s design district, Cady’s Alley is a distinctive shopping and residential development in Georgetown. 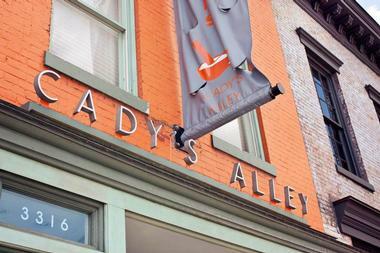 Spread out over 120,000 square feet, Cady’s Alley encompasses inviting design elements where glass and steel walls and stairs meet exposed brickwork and light-filled retail spaces surrounding a maze of pedestrian alleys filled with high-end designer retail outlets. You can hunt for antiques, find your dream sofa, order a custom kitchen or buy designer-label apparel all under one roof. Some of the most popular retailers in the Alley include Bulthaup, Waterworks and Baker Furniture. When you need a break from shopping you can find tasty refreshments at Leopold’s Kafe and Konditorei. Easily accessible via the Friendship Heights Metrorail (Red Line), the Chevy Chase Pavilion encompasses retail outlets, an Embassy Suites hotel, a Healthcare Center and office suites. The complex offers an ideal location for combining business with pleasure in the heart of one of Washington’s most desirable residential areas. You can look forward to shopping at household-name stores like J-Crew, H&M and Old Navy, while Starbucks, The Cheesecake Factory and Civil Cigar Lounge will ensure you are always within reach of a delicious cup of coffee, meal or drink. If you would like to spend a little longer in the area you can check into the Embassy Suites for a night or two.